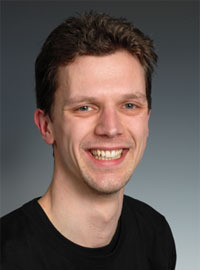 Dr. Thijssen is a postdoctoral research fellow developing soft materials, e.g. pastes and gels, for energy applications. He is an experimental physicist and materials scientist with a background in photonic colloidal crystals, colloids in external fields and (nano)particle-stabilized liquid-liquid composites (e.g. emulsions and bijels). He also has extensive expertise of various characterization techniques including confocal microscopy, light/X-ray scattering, electron microscopy and (interfacial) rheology. Guest lectures on soft materials and/or energy. Solar Power: SUPA post-grad course. Probes of Soft Matter: SUPA post-grad course. Using kitchen ingredients, in this video Job explains what soft materials are and how they can be used as promising scaffolds for novel electrodes in next-generation batteries.